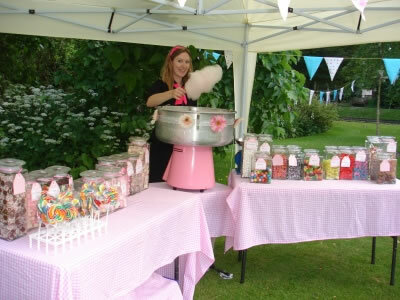 Cupcake Cutie can provide vintage Cupcake Stalls or Vintage sweet stalls for your big day. Instead of the traditional wedding cake , why not opt for cupcakes , they are easier to eat , look wonderful and taste amazing. 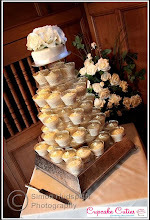 The modern wedding trend of vintage perfectly suits the cupcake. 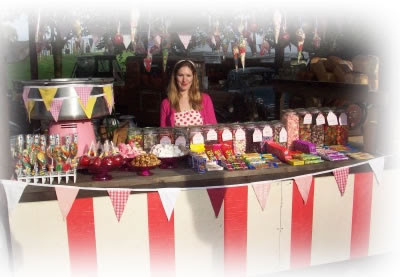 Vintage sweet stalls can be the perfect touch to personalise your wedding unique to you. 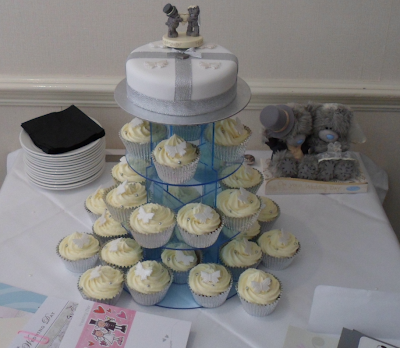 To have your weddings themed for your big day simply email cupcake cutie with your requirement. Movie cupcakes are perfect for a hollywood or movie themed event. They are also great for having friends round to watch a film or perfect gift for someone studying media or in the film/tv industry. Cupcake Cuties create cupcakes to all designs, occasions and themes. If your friend , partner , family member has a particular hobby or interests do not hesitate to ask us to design a cupcake to suit your requirements. 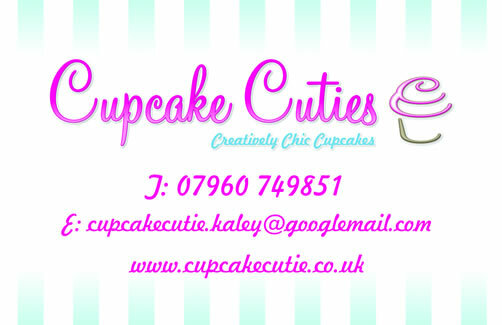 We love new and unique cupcake ideas so please feel free to contact us. Here at Cupcake Cuties we like to provide cupcakes that will perfectly suit your birthday decorations. Our criteria here was purple , playful , but classy and slightly burlesque. So we have decorated the tier with gems in black and purple. Added edible butteflies and hearts , incorporated black purple and silver - To a glamorous effect!! And all in budget for the clients criterea.